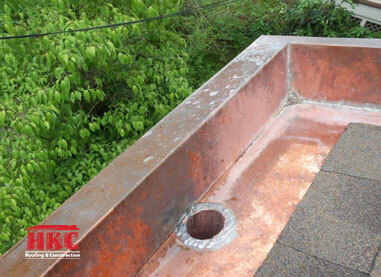 HKC Roofing offers a wide selection of residential gutters in both Cincinnati and Northern Kentucky. Gutters may be one of the most important components of your home to protect against soffit and foundation deterioration. It’s important to select a contractor who understands how to evaluate the gutter system required. 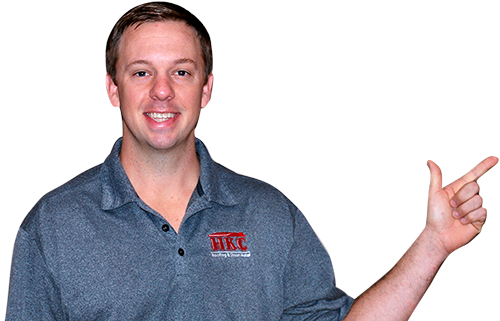 At HKC we have the experience and technical know-how to perform gutter capacity calculations to ensure your gutters are sized correctly. 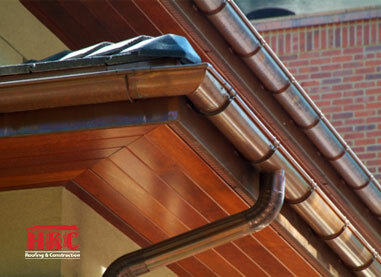 We specialize in three types of gutters on residential homes. 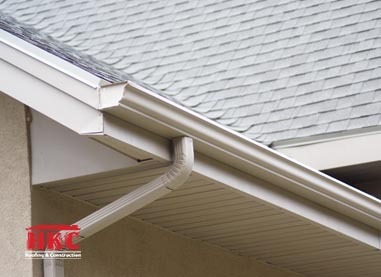 K-style Gutters are available in 5″, 6″, and an oversized 7″ to handle large volumes of water. These gutters are available in aluminum, galvanized, and copper. The gutters utilize an advanced invisible hanger with a screw that provides much better securement than the old style gutter spikes. Half-Round Gutters provide more of an old world European look desired by clients with older historic homes. They are available in 5″ and 6″ and can be order in aluminum, galvanized, and copper. Box Gutters are common on older homes and are an extension of the roof’s framing system. Due to being attached to the roof’s framing members, it can be costly to repair these gutters correctly. HKC can provide helpful maintenance solutions to prolong the life of your built-in gutters. When it becomes necessary to replace the built-in gutters we do it correctly the first time. The metal lining must be removed, wood framing replaced to ensure proper drainage, and new copper linings installed with soldered seams.